For those perusing the Charles Town entries for Friday, your eyes do not deceive you: entrants Mr. Ping and Mr. Pong, both listed as 2015 offspring of Denis of Cork out of Washingtonian are indeed brothers. In fact, they're twins. 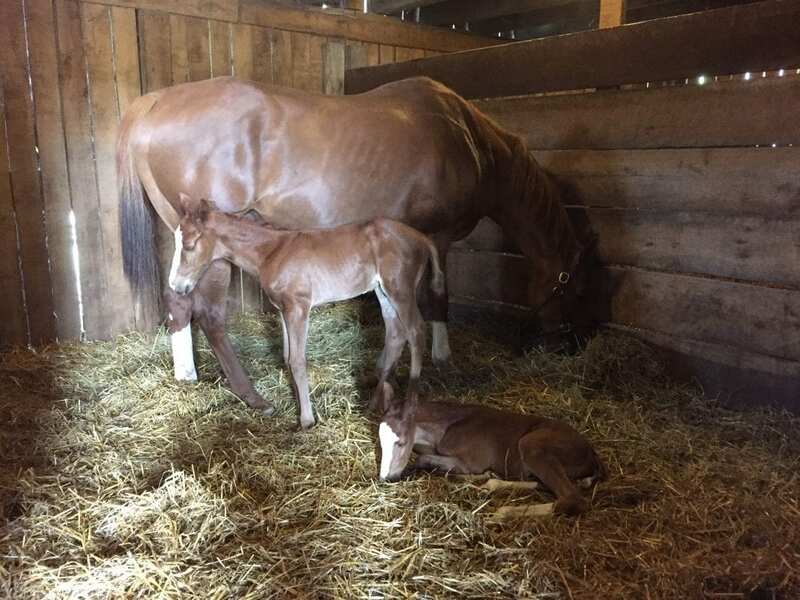 Bred and owned by John B. Casey, the pair of chestnuts were born April 16, 2015, at Avonwood Farm in West Virginia. “We faced the high odds of them both surviving, both making it to the races (long odds), and running against each other (never happens)!” said Casey, who won the 2008 West Virginia Lottery Breeders' Classic with Fool Proof. Experts estimate less than 1 percent of twin pregnancies are carried to term with live foals because the equine uterus is not designed to handle two fetuses at a time. Some mares (particularly Thoroughbreds) release more than one egg at a time anyway, and therefore conception of twins is fairly common. About 30 percent of Thoroughbred breedings are believed to result in the conception of twins, but most will not survive. Veterinarians will often offer to terminate one of the pregnancies early on if twins are detected to increase the odds that one of the foals will survive. Mr. Ping and Mr. Pong are trained by Larry F. Curtis and are making their first start in the four and a half furlong contest over the dirt. Luis Rodriguez will ride Mr. Ping, who carries 117 pounds from post one, while Guillermo Rodriguez will be aboard Mr. Pong at 122 pounds. 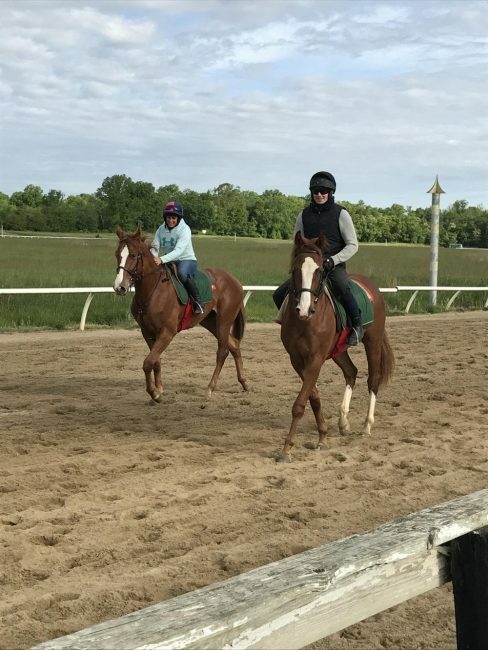 This entry was posted in Bloodstock, NL List and tagged Charles Town, equine twins, guillermo rodriguez, john casey, larry curtis, luis rodriguez, mr. ping, mr. pong, twins by Natalie Voss. Bookmark the permalink.